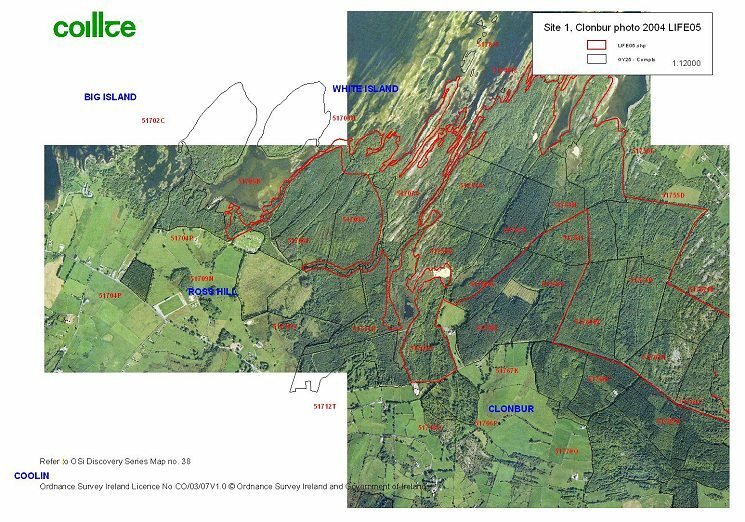 Located along the southern shores of Lough Mask, on the Mayo/Galway border, Clonbur is the largest single project site, encompassing almost 300 hectares of diverse habitats (part of the much larger Lough Carra/Mask SAC). The principal habitat type is bare limestone pavement but a remarkable feature of this site is its range of other habitats. These include alluvial woodland, heath, grassland, alkaline fen, oligotrophic lakes and ponds along with a well-developed calcareous woodland, much of which has been planted with beech and conifers. 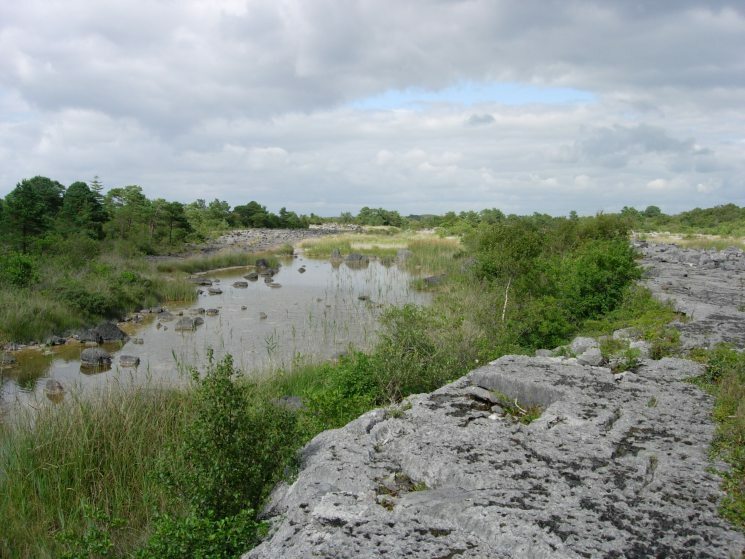 Well-developed limestone pavement is a glaciated karst feature of very limited distribution in Ireland and Europe and is rated as being of excellent conservation status, receiving a Global Ranking A ("Excellent" Value) in the Natura 2000 network. 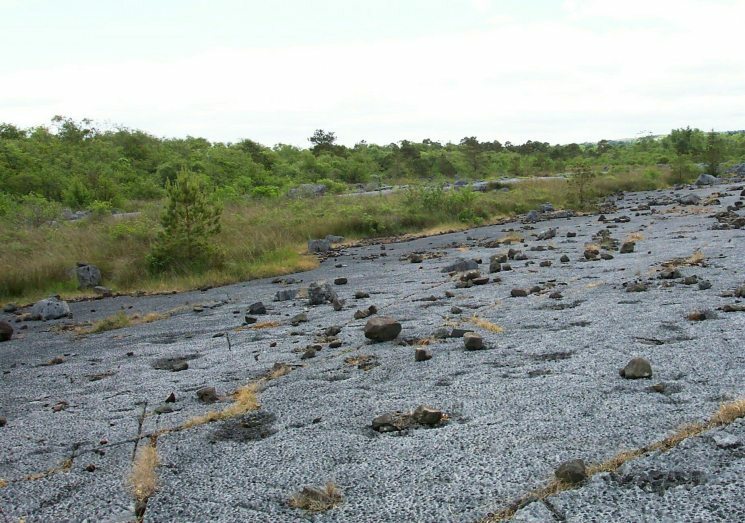 The limestone pavement at Clonbur represents the largest area of this habitat in Ireland outside of the Burren in Co Clare. Low levels of grazing have facilitated the development of a diverse scrub-woodland cover over much of the pavement area. Despite this, some small patches of limestone grassland and heath mosaics persist, dominated by species such as blue-moor grass (Sesleria albicans), ladies' bedstraw (Galium verum), wood sage (Teucrium scorodonia), burnet rose (Rosa pimpinellifolia), and wild thyme (Thymus praecox). 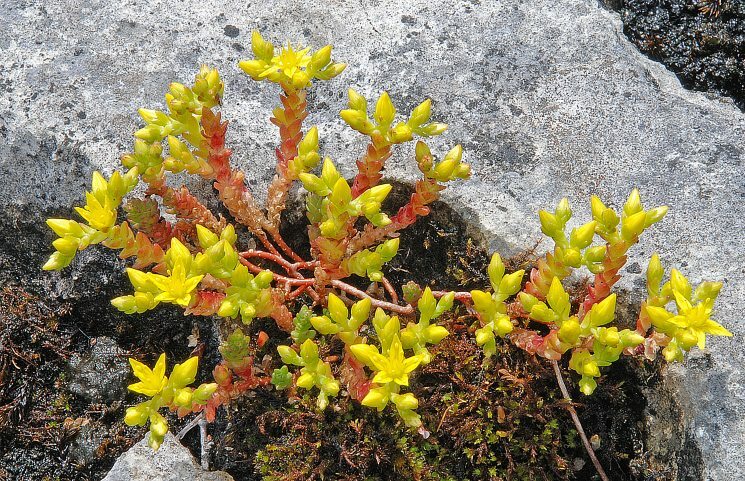 A diverse array of orchid, fern and moss species, similar to those found in the Burren region, are commonly observed. The rare wild chive (Allium schoenoprasum) is also found. Areas of dry heath occur sporadically throughout the woodland, with St. Daboec's heath (Daboecia cantabrica) found, growing in association with ling (Calluna vulgaris) and bell heather (Erica cinerea). This plant layer suggests a long continuity of woodland cover which is confirmed by the presence of broadleaved woodland on the 1830 Ordnance Survey map. 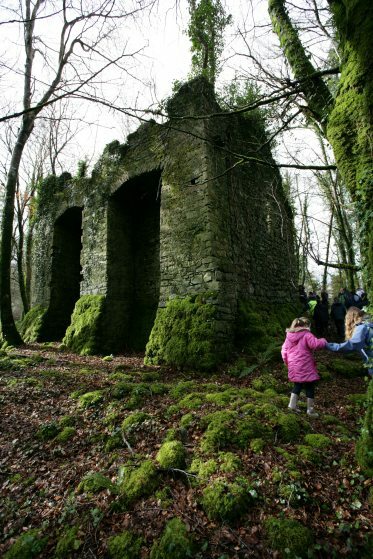 A notable feature at Clonbur is the occasional occurrence of patches of old woodland and some specimen trees, particularly oak and beech, a legacy of the former existence of the woods as part of the Guinness Estate. While, in general, planted exotic trees detract from the ecological integrity of the site, the presence of well developed stands of beech may be viewed as a welcome additional feature to the diversity and interest of the site. 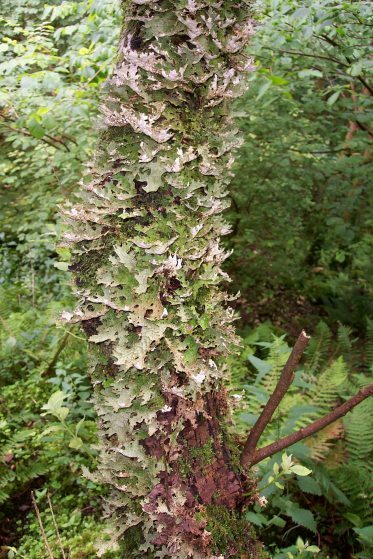 The beech at Clonbur support rare species, such as, the birds nest orchid, (Neottia nidus-avis) and the lungwort lichen, (Lobaria pulmonaria). This mixed woodland community also supports the endangered lesser horseshoe bat, which is known to roost in the project area. Therefore, carefully selected areas of beech are being retained despite it being considered a non-native tree species. 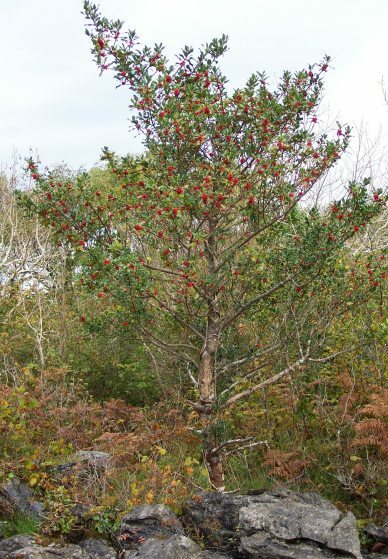 Throughout the project site, all other non-native tree species will be removed using a variety of woodland restoration techniques. Other sections of plantation forest, of widely varying quality and species composition, are found throughout the site, sometimes abutting or overlying outcrops of limestone pavement. For the most part, the planted areas have been stocked with spruce (Picea spp. ), larch (Larix spp. 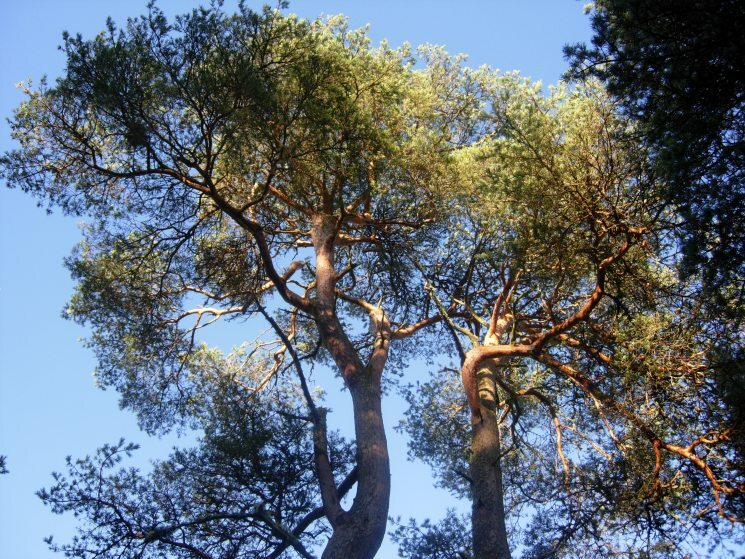 ), Scots pine and beech. Beneath these trees, the pavement flora has been radically altered, but usually has a rich bryophyte layer (Eurhynchium spp., Rhytidiadelphus spp., Thuidium tamariscinum, Neckera crispa). Though these areas are generally species-poor relative to the unplanted areas, other herb species commonly found includes enchanter's nightshade (Circaea lutetiana), herb robert (Geranium robertianum), wood avens (Geum urbanum), ivy (Hedera helix), wood sorrel (Oxalis acetosella) and bramble (Rubus fruticosus). From a cultural perspective, a range of important structures exist, including an old castle, scattered habitation sites and a series of superbly constructed double stone walls. 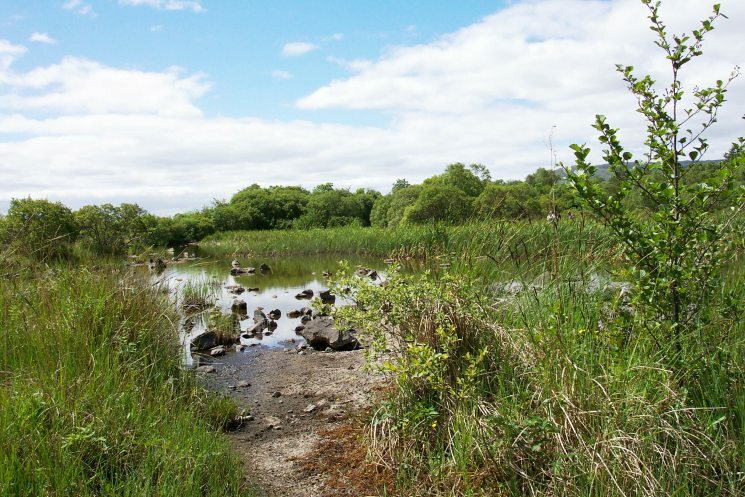 The site is surrounded by a mixture of farm land, open water at Lough Mask, private woodland and Coillte owned woodland. 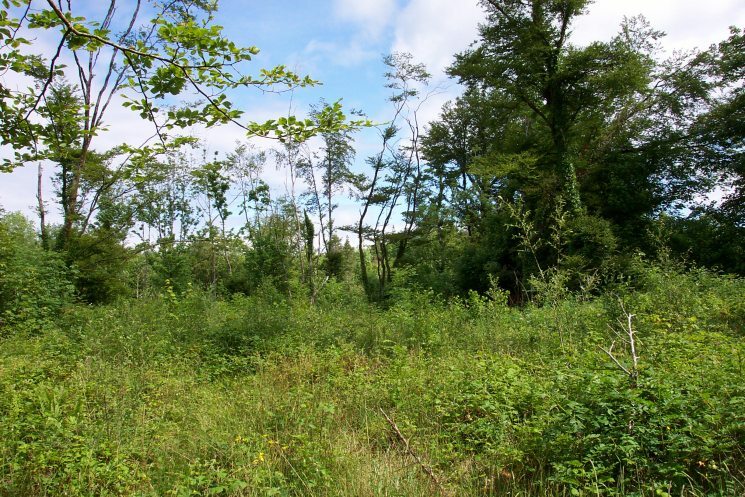 The diversity, quantity and quality of the priority woodland habitats found at Clonbur make it a site of considerable national, and possibly international, significance. The restoration combines actions to mitigate the key threats to this mosaic of habitats. In addition, habitat enhancement, through the manual planting of yew, will increase the area and ecological value of this rare and truly special woodland type.